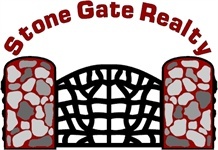 Located in beautiful Duluth, MN, we welcome you to "Enter the Gate" and experience the Stone Gate difference. We look forward to serving all of your Twin Ports real estate needs. Whether you are looking for a home in Duluth, Hermantown, Pike Lake, Proctor, Cloquet, Esko, or Carlton, we can help you find the home of your dreams. For many, understanding every aspect of the real estate process can be daunting. That’s where experience comes in. Our site is full of helpful videos to educate you on the real estate process. Whether you're buying your first home or your last — we have the tools and background to provide the services you need. I work hard to create a mutually beneficial and respected long-term relationship with my clients and their families. As a life long member of the community, and a Realtor for more than 30 years, I take pride in knowing that I have helped thousands of people find the home of their dreams.